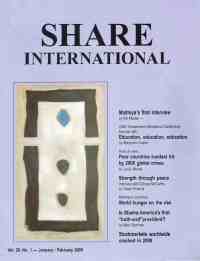 Copyright © 2009 Share International. All rights reserved. Since the dawn of time, man has asked himself the question: why am I here, what is the meaning of life? Despite the teachings of the various religions and those of holy men of the past, most people are baffled and unsure whether there is, indeed, any purpose or meaning in what we call ‘life’, and wonder likewise what experience, if any, awaits us after ‘death’. In this coming time, the answers to these long-held worries and fears will become the common knowledge of all. This will in large measure be the result of the open presence of Maitreya and His Group of Masters. Your Elder Brothers will so stimulate the consciousness of men and so exemplify the teaching They give that in a relatively short period an enormous awakening will take place. Gone, for millions, will be the doubt and fear of the past. Men will know for sure, that they are, each one, engaged in a great adventure of discovery which will take them, in due course, to a perfection hitherto undreamed of. Such sense of meaning and purpose will replace the present arid and fearful doubt that an era of untold creativity and change will blossom and flourish. Thus will it be, and thus will men awaken to their destiny as exemplars of the divine. All men are divine but not all know this to be true. More and more, men will realize this truth and so change the world around them. The Masters are readying Themselves for open recognition and work. Their presence will provide the confidence that the needed changes in our social life will be for the better and have long been necessary. The aim is that the Masters and men should work together in every field of endeavour, and thus expedite the changes required. The first priority is that war must be abandoned for ever, utterly, totally. This requires a degree of trust as yet not known in the world. Sharing alone, it will be found, will manifest the needed trust and so create justice worldwide. Until justice reigns, there will never be true peace. Step by step, men will come to see this logic. They will come to understand that there is no alternative. If men would live and prosper they must abandon injustice and war. Can men meet the challenge? Men have faced and overcome many vicissitudes in their long sojourn on Earth. Today, led by Maitreya and His Group, they will be inspired to act for their own best interest and to answer the call for justice and sharing. Many are the voices of the past which will call for caution and delay, but when men hear Maitreya’s voice sound within their hearts, they will be kindled by a fiery longing for Justice and Peace, for Sharing and Right Relationship, for Brotherhood and Love. Q. It’s 20 years since the Berlin Wall fell and German reunification began. (1) Was this a great example of people power or was there Hierarchical help being given behind the scenes? ( 2) What was remarkable about that historic moment is that it could have got very badly out of control with police shooting at people, people becoming violent and so on. None of that happened – were Maitreya and the Masters working to help maintain the calm and euphoria so that it wouldn’t spill over into conflict? A. (1) It was a prime example of the forces of a united people’s will. (2) No. The time had come. Q. Twenty years ago there was a huge surge of people power and the overturning of the political order, the end of the Cold War – a definite change in the world’s political climate. Suddenly freedom and new possibilities filled the air. (1) What caused these amazing changes? (2) Do you think it has led to a better world? (3) When communism collapsed it left a vacuum for commercialization and its attendant problems, such as widespread criminality; has life improved in the former Soviet Union? (1) The ending of the Cold War was foretold by Maitreya and was set in motion by Him when He suggested to Mr Gorbachev to go to America and talk peace with President Reagan. It also included Maitreya’s advice to Mr Gorbachev to open up the Soviet Union to perestroika and glasnost. Maitreya’s advice was carried out by Mr Gorbachev but unfortunately in the process he lost his position. (2) Yes. (3) Overall, yes. Q. Could you comment on the Nobel Peace Prize awarded to Barack Obama? Do you consider it totally deserved, or premature? Or is it a way to strengthen new political tendencies? A. I consider it not yet deserved, therefore premature, but hopeful. Q. Will President Obama ever turn into the liberal leader that many Americans were hoping for when they voted for him? Will he end the wars in Afghanistan, Iraq, and close US bases around the world and finally start spending all that military money on something helpful for humanity and planet Earth? Will he turn out to be the new Franklin D. Roosevelt? Are you working on nudging him to be the ‘liberal lion’ that we had prayed for? A. The answers to these questions lie in the hands of the American people. It is up to them to bring the necessary pressure on their government to implement the action you mentioned. I am not working on nudging Mr Obama or anybody else. I am preparing the way for the open demonstration of Maitreya and His group of Masters. I would not be surprised, however, if Mr Obama becomes enamoured by Maitreya’s teaching and advice. His heart seems to be in the right place. Q. George Adamski describes the form of Motherships (spacecrafts) as cigar-shaped. Are the ‘stars’ similar? What kind of craft are they? A. Many of the larger spacecraft which work to our benefit are cigar-shaped but some are bell-shaped, some are fish-shaped and some are saucer-shaped. The ‘star’ heralding Maitreya’s presence is also a spacecraft able to transform into different shapes. Q. I would like to ask if the Space Brothers are planning to have a ‘First Contact’ world press conference with President Obama and/or other open-minded world leaders, which would give them an opportunity to tell the world about Maitreya without saying who He is. This can be done by ‘them’ saying something like this: “There exists a very wise man on your planet who would like to speak to humanity. Will you do this?” If the media does this it could mean that the Day of Declaration could take place at this time instead of waiting for the television interviews to take place. A. Sorry, no, that is not the Plan – nor even a good idea, because it leaves out entirely the question of humanity’s free will. Q. Recently I attended a discussion group that meets to talk about UFO phenomena. They happened to be screening a Steven Greer interview. I had the opportunity to talk about the ‘star’, and its significance to Maitreya’s emergence into the world. While people were receptive and interested in the information, I was asked many questions about the ‘grays’, ‘reptilians’ and ‘abductions’. It is my understanding that abductions are imagined since the Space Brothers are here to help, not harm in any way. I was wondering if you might shed some light on this – whether these ‘grays’ and ‘reptilians’ exist and how best to address this question and the issue of abduction? A. Once again let us put this question to rest. ‘Grays’, ‘reptilians’ and ‘abductors’ do not exist among the Space Brothers who man the so-called UFOs visiting our planet. The work which the Space Brothers do is not only harmless but is essential to the further life of this planet. They come to aid, they are on a spiritual mission, a mission of mercy. ‘Grays’, ‘reptilians’ and ‘abductors’ are the figment of people’s imagination based on fear. We can thank the governments of the world and the science fiction filmmakers for this misinformation. Q. Will we be able to meet the Space Brothers who pilot the UFOs sometime in the future? The reason I ask is that it would be nice to thank them for the things that they do for us, such as mopping up our nuclear leaks which could harm us. A. Yes, some people, on occasion. Q. Are the recent earthquakes, tsunamis and other disturbances in the Pacific region related to underground nuclear testing? If not, what is the cause? A. No, nothing to do with the nuclear testing. They are the result of the natural movement of the tectonic plates of this highly earthquake-prone area. Q. Given that each of us is born at a certain point in evolution, at what age do we begin to evolve further? A. It depends on the point of evolution of the child. Evolution in the meaningful, spiritual sense might take many years to flourish. But a degree of evolution could start at around seven for many people. However, in a relatively advanced individual, initiate to some degree, their further evolution often begins around the age of four. In a relatively few cases, evolution of a person would begin soon after birth, at one or two years. Q. I agree that sharing is the solution to many of the problems the world faces. However, I believe that sharing must be completely voluntary and cannot be mandated or forced or it will not work. Many are concerned about their property being stolen by the governments and transferred to a wealthy international oligarchy. Many also believe the United Nations seeks to override national sovereignty and control the peoples of the nations through global financial institutions. Does Maitreya state that the sharing needed to bring justice must be completely voluntary, thus requiring changes in the way we see ourselves, and not through the coercion of supra-national institutions? A. Yes. If we are to implement the principle of sharing it is obviously essential that it has the support of the vast majority of humanity. Otherwise it would not work. Nothing that the Masters do or achieve is allowed to infringe human free will. To the Masters that is sacred. Q. I am wondering if Maitreya has offered interpretations for the crop circles that seem to be, most likely, messages to Him? A. No. I can say with confidence that the crop circles are not messages to Maitreya. Our Hierarchy, of which Maitreya is the head, has long been in contact with the Hierarchies of our sister planets. The crop circles are the greeting cards of our visitors from neighbouring planets and are offered to the general public rather than our Spiritual Hierarchy, who already know of their existence. Later, after looking through Maitreya’s Mission, Volume Three, I came upon a section in the chapter entitled ‘The Art of Waiting’, called ‘Windows of Opportunity’. Mr Creme discusses the illusory nature of time, and the way the Masters’ see the unfoldment of the Plan in terms of “windows of opportunity”. He says that even Maitreya does not know the exact time for His first television appearance. He sees a window of opportunity for His emergence in terms of the manifestation of many factors, including Cosmic energies and humanity’s responsiveness to them. Apposite of today’s world situation, Mr Creme also mentions as another factor, the Lords of Materiality, the forces of chaos, who, knowing their time is over, seek to hold back Maitreya’s emergence through their influence over certain reactionary political and religious groups, power-hungry politicians, industrialists, military men, media moguls and financiers. Considering the state of the world’s crises in the environment, the economy, and the war in Afghanistan, and humanity’s response to them, was this booth visitor somebody special alerting us to a “window of opportunity” for Maitreya’s emergence? In October 2008 I had to replace my boss in a meeting at work and felt stressed regarding this task. I took the ‘hand’ of Maitreya with me. When I changed trams at Enge station, two people dressed in green (an older man with a beard, the other person wearing a hat) came over the bridge and crossed in front of the people waiting at the station. Both held the same red bag and looked altogether friendly and funny. I smiled at once and noticed that lots of other people were smiling too (which is rather unusual in Zurich on a grey morning before work). Just when they passed by, the man with the beard said smiling, and truly friendly: “Only two days, then it’s the weekend.” I started thinking about the deeper meaning of this phrase, it sounded as if it won’t take too long until humanity experiences better, simpler and less stressful times. After this short encounter I felt deeply happy and blessed and went on my way. A few days later I saw them again, in the same outfits. They passed by a bus stop and again the people waiting there were smiling! I followed the two men for a short while but didn’t find the courage to talk to them. I’d like to ask you, were they Masters? Some 15 years ago I went through a difficult period. I was very afraid of death and had sleepless nights because of it. It was in fact becoming an obsession. Then one afternoon the following happened. I arrived at my favourite bar “de Kakatoe” in Den Bosch. I had not ordered anything yet and had just met up with two friends of mine, when an Indian man walked in, whom I had never seen before. I assumed it was my friend Arju’s brother from India. At the time Arju ran an Indian restaurant and he had told me that his brother would be visiting. So, on that assumption I began to talk with him. The man came to stand next to me and asked what I and my friends would like to drink. We chose beer and he ordered three bottles for us. Then I said, “You are Arju’s brother, aren’t you?” He did not react to that, but immediately raised a counterquestion. “Do you believe in God?” I was struck dumb, because you do not want to give yourself away to someone you do not know, do you, but something else happened: instead of reacting defensively, I decided to answer him. It seemed as if I was forced to give a straight answer. I said that I do not believe in God in the way it has been passed on to me by the church and parents, but I do believe that there is more between Heaven and Earth, and that there is life after death. He forced me in a certain way to listen to my heart. I say that now, but at that time I was not so aware of it. Then I turned to my friends for a while, we chatted for 20 seconds or so, I turned back again: the man had gone! I asked my friends if they saw the Indian man leave. They had not seen an Indian man at all. When asked about the beer, they said that they got the beer from me. I tried to find out what happened in another way, by asking Roy the barkeeper, “How did I get this beer?” He said, “You will no doubt have ordered it yourself.” I said to him, “When I order something, you always write it down for me to settle later. Did you write anything on the account?” “No”, he said, he did not. Once again: “Where did my beer come from?” I asked. He said that someone must have ordered it for me. I asked him who did but he did not know. Like my friends he replied also, “No, I haven’t” when asked if he happened to have seen an Indian man. I realized that I had experienced something unique, an encounter with what I call a living angel. Afterwards I understood that he helped me, for the fear of death has faded away since then and I got at last a good night’s sleep again. After this I became more interested in spirituality. (1) Would you please tell me if I met a special person and if so, who it was? (2) How did we communicate? Frequently in my house I’ve been seeing handprints and fingerprints appearing on the window and the bathroom mirror. I remember one day in June or July 2009, when I was a little angry about something, I went to the bathroom and saw on the glass door that separates the shower from the washbasin, a strange handprint. A few months later it appeared again when I took a shower and one night in August, when I was a little sad, I saw the handprint once more. Were these handprints manifested by Maitreya? On her last birthday in November 2008, my friend Elly received three white roses. Two of them behaved as cut roses usually do, and faded after a week, but the third rose was still in good shape four weeks later! In March 2009, amazingly the rose in the vase grew roots, so she planted it in a flowerpot. In June it grew another bud, which by the end of July bloomed into a rose, while the original flower, although a little brownish, still had petals. No gardener we asked has ever seen such an extraordinary development from a cut rose, so we would like to know if possibly one of the Masters created this ‘miracle’ rose? In December 2000 I was surprised when a tape of Maitreya’s Messages automatically began to play. I listen to the tape of Maitreya every morning in my room before meditation. The automatic playing began on 1 December, ten days after my first grandson was born, then again on the 3, 4, 5, 6, 7, 13, 14, 26 and 29 December. Sometimes it played as soon as I entered the room and sometimes when I was studying in the room. I checked to see if the tape recorder was set to automatic start at a certain time, but could not find it. It never happened when I was out of the room, because the tape started from the first phrase of the Messages every time. I would be very glad if you could explain my strange experience. It was summer 1994. I was driving home at 3 or 4am on the Ronda Litoral belt road in Barcelona. On the hard shoulder at my right I saw a man walking with light footsteps. He was robust, had long fair hair, denim shorts and a rucksack. When I came close to him I had the impulse to stop; but for safety reasons I didn’t. As I was approaching him, he was turning his head towards me, but I couldn’t see his face clearly. A few moments after I passed him, the name Maitreya came to my mind. I looked at the rear-view mirror but he was already out of sight. Was this man a Master? On 29 November 2000 in the checkout line at the supermarket an Asian man in a brown coat and hat struck up a conversation with me about a headline on the front page of the World News tabloid, “The exact date Jesus returns to Earth!” I suddenly replied to his words: “He is already here. I know in my heart he is here. Jesus is working with him. They are called the Masters of Wisdom.” He continued to ask questions, to which I gave short sound-bite answers, as we proceeded through the checkout line. I was thrilled to be able to talk out loud about an issue I felt deeply about to someone who was interested and who kept prompting me by asking further questions. At the end of our chat, I could tell he had hoped for more. Only days later on the morning of the next Transmission Meditation meeting, did it occur to me that I might have been speaking to, and been tested by, a Master. Was that the case? Y. C. L., San Diego, California, USA. 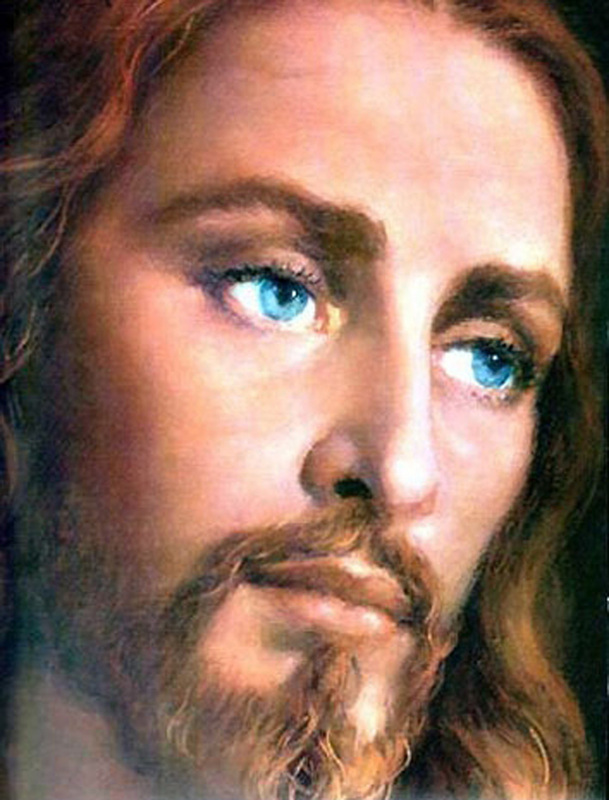 While speaking about the Master Jesus with two friends from New Zealand visiting Rome, I got a text message from my wife asking me whether I or any of us had sent a picture to her cell phone of the Master Jesus. According to her, it just appeared in her photo list out of nowhere. We said no, as we would obviously remember! She was at home and we were in a restaurant so there was quite a bit of synchronicity, and she would not have known we were speaking about the Master Jesus. Did the Master Jesus really materialize the picture? When wavy lines appeared on the skin of a baby boy in the Central Asian republic of Dagestan, on the Caspian Sea, doctors first dismissed them as birthmarks, then as irritation and postnatal scarring. But when the family of nine-month-old Ali Yakubov took him to a local Imam, the lines that appeared on his legs were identified as the word ‘Allah’ in Arabic script. Since then various verses from the Quran have appeared on Ali’s back, arms, legs and stomach twice a week, with the old markings vanishing before the new words arrive. Ali’s mother Madina Yakubov explains that when the writings appear the boy has a fever and doesn’t sleep. 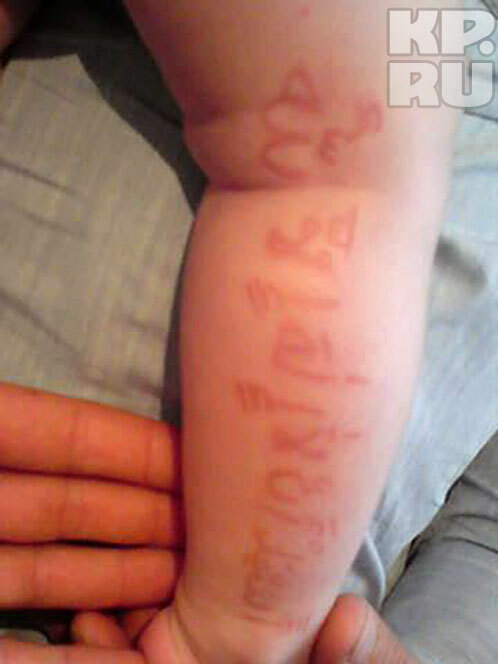 Doctors are baffled and say they cannot explain Ali’s mysterious condition, but they insist that the markings are not caused by someone writing on the boy’s skin. Mrs Yakubov says she and her husband were not religious, but since their son’s skin began to display the holy texts they became deeply faithful and began to pray earnestly. 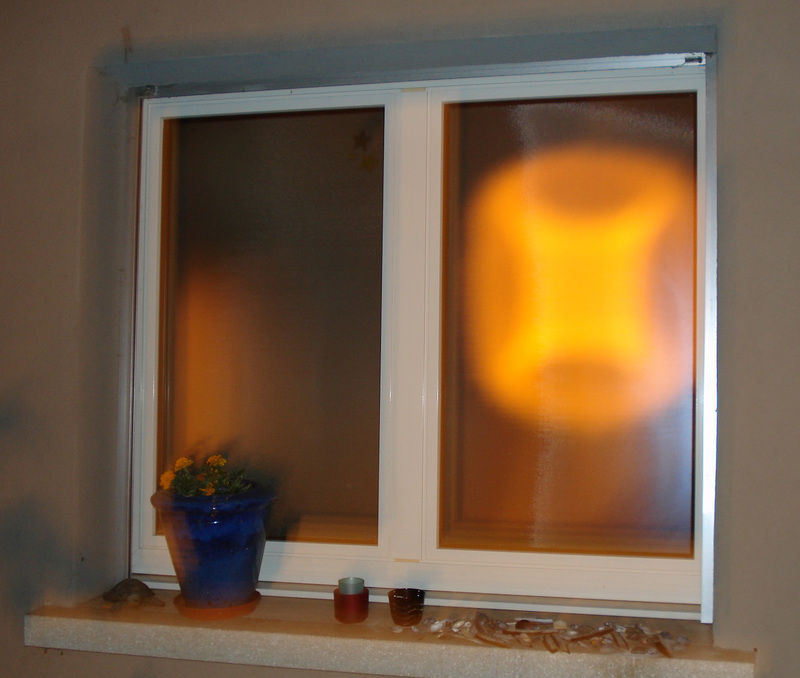 For about three years E. A., from Bolligen near Berne, has seen a beautiful cross of light through her bathroom window. Street lamps produce two huge crosses of light and every light which switches on in the neighbouring house adds a pattern. So the phenomenon is always changing. It is really an extraordinarily marvellous spectacle. Also, when I walked home on 25 October 2009, I saw another nice pattern on a window and wonder if this phenomenon is becoming more common or if I was just lucky to discover it? Two teenagers in opposite parts of the world have been reported to shed tears of blood. Doctors have conducted extensive tests on the boy, including MRI, CT and ultrasound scans, but remain mystified as to what causes the unusual bleeding, which lasts between a few minutes to an hour and happens at least three times a day. The “stigmata-like medical mystery”, as it has been dubbed by the press, has attracted much media interest. Meanwhile in the Indian city of Patna, Rashida Khatoon has become a ‘human shrine’ since blood started to drip from her eyelids several times a day earlier this year. While local doctors are stumped for an explanation, Hindu holy men have declared Rashida a “living miracle”. As a result, worshippers come to watch in awe as tears of blood stream down from the girl’s eyes. “I do not feel any pain when it happens, but it’s a shock to see blood instead of water,” said Rashida of her most unusual situation. An image resembling the Madonna has appeared in Samoa’s capital, Apia, on the wall of a building belonging to the Congregational Christian Church of Samoa. The image, first seen on 14 September 2009, has brought hundreds of people to the building to witness the sight. At a remote grotto in County Donegal, Ireland, a statue of the Madonna moved and wept tears, and crosses appeared and disappeared in the night sky, on 29 September 2009 at 8pm. The Kerrytown shrine lies in a rocky outcrop near the town of Dungloe, and is visited by pilgrims ever since an apparition 70 years ago. Brazil has released previously secret government documents on the country’s UFO sightings in the 1980s. The government has already disclosed documents covering sightings during the previous three decades. Thus far over 4,000 pages of documents and 300 photos have been released. Among the documents recently made public were multiple reports of UFOs witnessed on 19 May 1986. On that date, 21 spherical objects, estimated to be 100 metres in diameter according to military sources, were seen and tracked by ground radar, and witnessed by civilian pilots, over several states in southeastern Brazil. The UFOs interrupted air traffic over major Brazilian airports, and several military jets were sent into the air to pursue them. Also included among the released documents is an ‘Occurrence Report’ dated 2 June 1986, a few days after the 19 May UFO sightings. The report is signed by the acting commander of the Brazilian Air Command of Air Defense at that time. On 12 December 2008 Share International distributed a news release announcing that in the very near future a large, bright star would appear in the sky visible throughout the world, night and day, heralding the imminent appearance of Maitreya in His first interview on a major US television programme. Since the end of December 2008 sightings of the star have been reported all over the world and hundreds of sightings have been sent to Share International. We include a selection of the latest reports from the media, Share International readers, and sightings from YouTube. 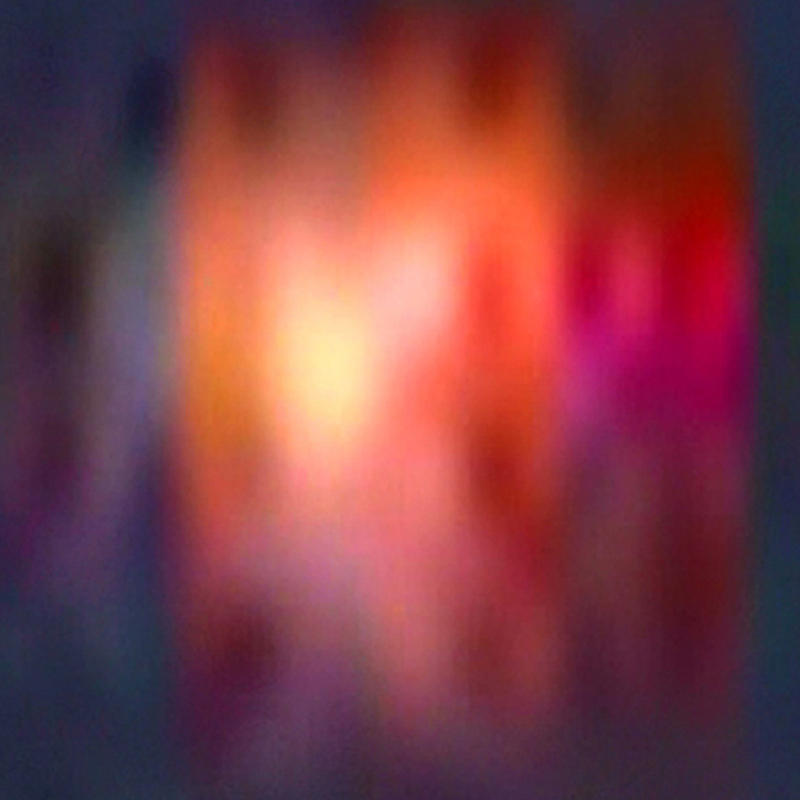 All the photographs show genuine sightings confirmed by Benjamin Creme’s Master to be the ‘star-like luminary’ heralding Maitreya’s emergence. 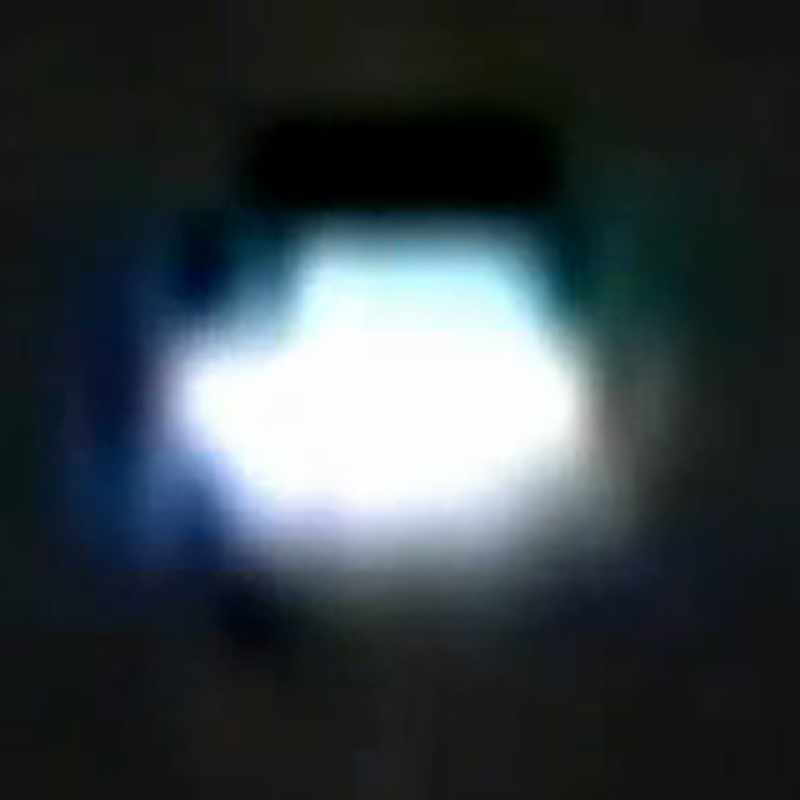 On the evening of 17 October 2009 a group of amateur astronomers noticed a strange object in the clear night sky. The group of five amateur but experienced astronomers had gathered for a night’s sky-watching at the RMCC Observatory, in Mounds, near Tulsa, Oklahoma, USA. The group sent their report to the Mutual UFO Network website (MUFON); the story was also featured in a regional newspaper the Examiner under the headline “UFO hovering over Oklahoma skies baffles astronomy club members”. The group continued to observe the unusual object wondering whether it could be a high altitude research balloon, but since balloons also move and the object maintained its position that idea was jettisoned. “As we watched it more closely it was surprising as to the manner in which it morphed into various shapes and sizes. 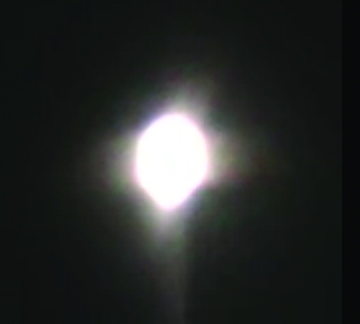 Its brightness would vary some but that was easily seen as being caused by the low-lying clouds on the horizon. As we commonly call it – it was ‘sitting in the soup’. When they [the clouds] would move in front of it the object’s brightness would dim some. Otherwise it would maintain its brightness. That was easily seen via binocular observations. “The longer we watched it the more curious we became and with that growing curiosity we quickly set two telescopes onto it. Two different sized telescopes were used, one, Celestron 11-inch Schimdt-Cassegrain telescope and a smaller Orion 4.5-inch Dobsonian telescope. Between the two we could pull in for a much closer look in a very inquisitive effort to determine just what it actually was. Charts and websites were checked also to make sure we weren’t forgetting perhaps one event that may explain what we were now seeing. Nothing could be found. 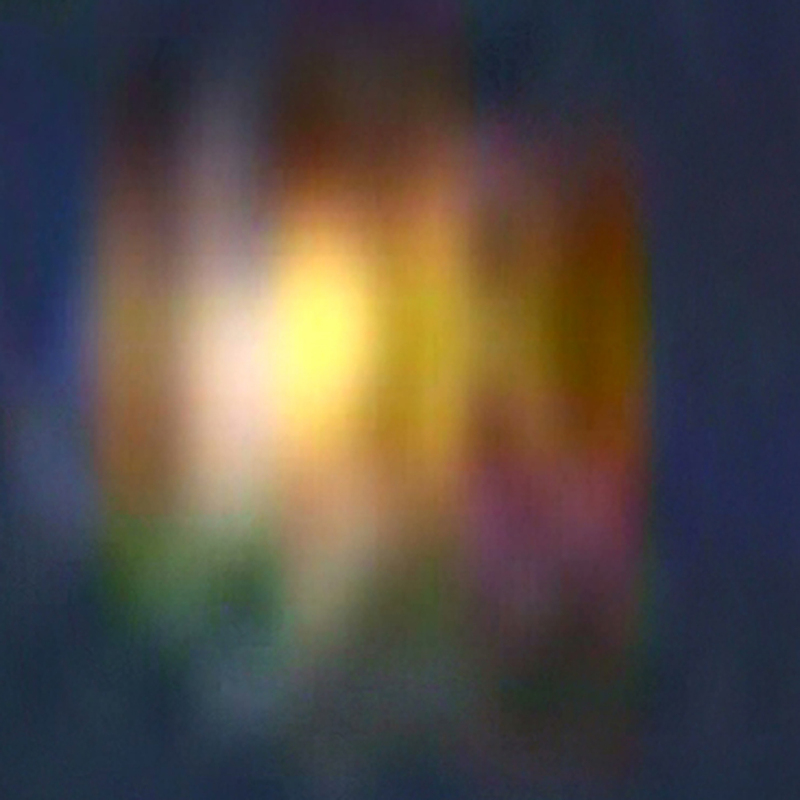 “Close to 8pm we started to notice what appeared to be a ring of lights that was rotating around the bottom portion. 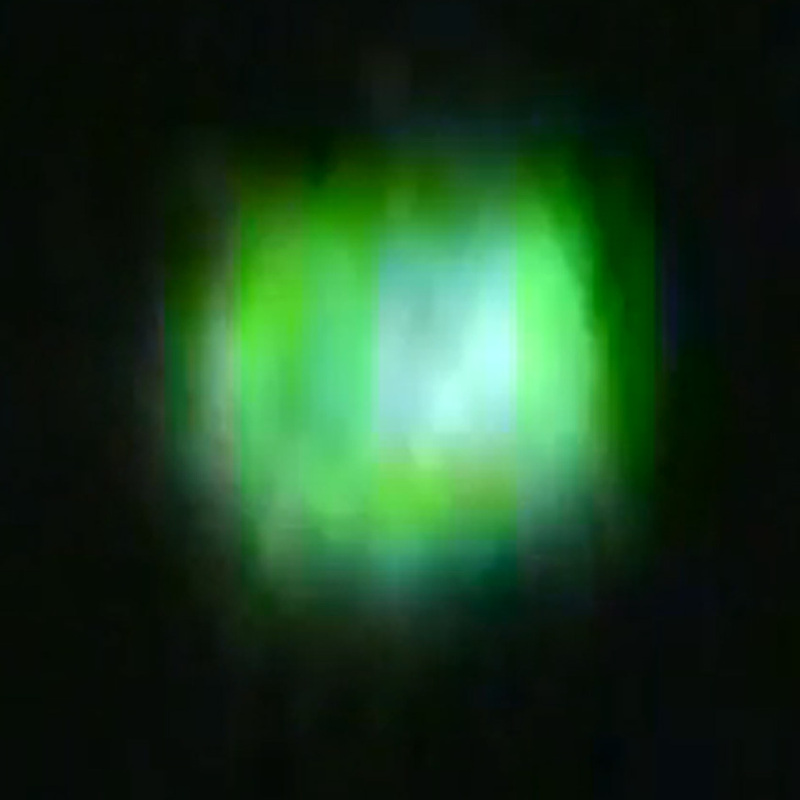 The lights were seen in the same location that the bluish-green colored waves were at. 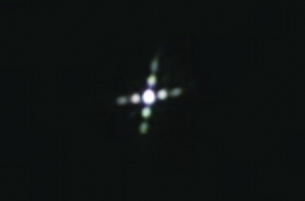 Several of us noticed this while looking at it through the telescopes. Needless to say this was surprising to us all. This carried on for one to two minutes and then suddenly the object started to move. The movement was slow at the beginning but increased very rapidly … Within two seconds it had totally disappeared from open visual sight but I still had a lock on it in the eyepiece. Fast, very fast it moved from dead center in the eyepiece field of view upwards and at the same time was getting smaller and smaller as it flew away. Two or three seconds later it was totally gone from view in either of the telescopes. “The speed that it moved was without question way beyond anything that we have knowledge of or is publicly known to be in our military. At the rate it flew away would make a SR-71 Blackbird look very old and slow. Could it have possibly been a new experimental aircraft? Possibly yes, but if so what was something such as that doing in Oklahoma? Most generally new experimental, top-secret aircraft of that type are being tested at either Edwards AFB or Area 51, not Oklahoma. Two photographs taken in a southerly direction, at 7.45am on Saturday 17 October 2009, in Samnanger, Norway, by T.W. Taken by H. K., in Kuppenheim, Germany. Hundreds of videos of the ‘star’ can now be seen on the YouTube website, and people are wondering what this unusual star-like object is, with its unique behaviour: changing colour, rotating, pulsating, expanding and retracting, staying still for hours or moving rapidly. Many people are discussing this worldwide phenomenon and its significance. We include a small selection of footage where the camera’s zoom capacity is sufficient to reveal a more close-up image of the ‘star’. Soni is a district manager in California for a large national corporation. She has never been interested in phenomena like UFOs, or even wanted to read science fiction or watch a Star Wars film. “I am a level-headed kind of person,” Soni said. 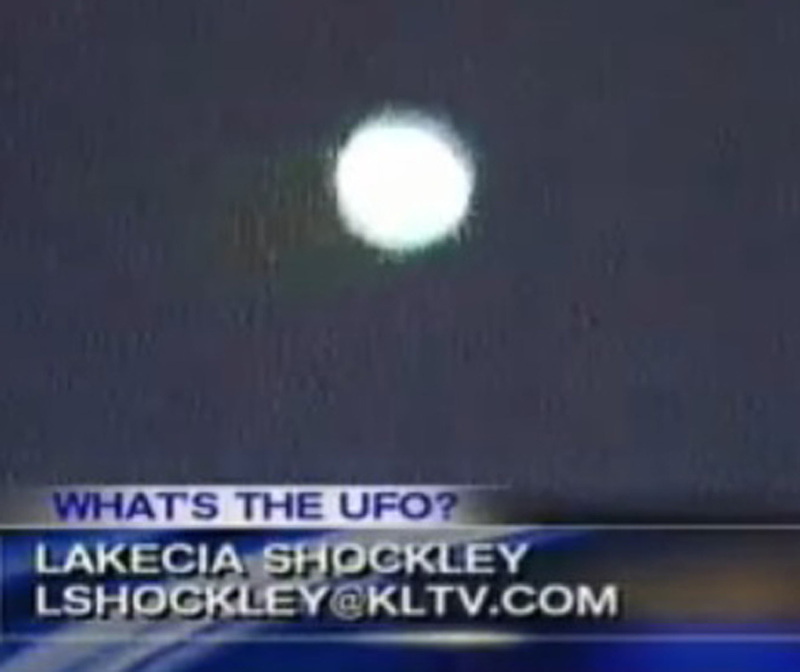 “Oddly enough, on 31 July 2009, my co-worker asked me whether I had ever seen a UFO. I answered, ‘No, but I wish I could see one.’” After saying that casually, she kept thinking about it, hoping to see a UFO if they really did exist. She first saw the object in the sky at 8.45pm. They looked at it through a telescope and saw that it changed shape and color. …Still at her parents’ home the next day, she looked for the object around the same time as the previous night, and was surprised that it was there. 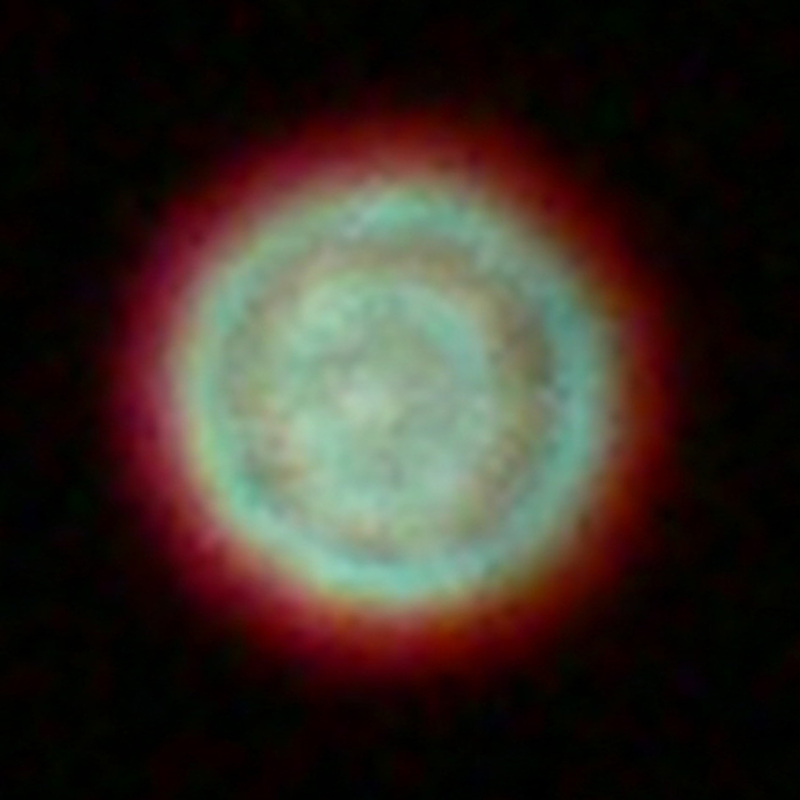 It was glowing and changing shape and color. She kept watching it until 3am, wishing that she had her video camera with her. After leaving the Air Force, Tom moved to Canada where he and his wife live on a hundred acres of land. One evening, when Tom and his wife were out of the house, their daughter saw something burning in the hay field. “Who the heck would be lighting a bonfire on our property?” she wondered. Then she realized that the fire was well above the ground. “She’s the kind of person that this kind of thing does not appeal to at all,” Tom said. It was literally a fireball. She was just barely beginning to absorb that this might be something unusual when the fireball suddenly disappeared and then reappeared about 30 degrees to the right of where it had just been. Tom wanted first-hand evidence, so in September 2008 he and his wife visited an area near the base of Mount Shasta in northern California with a group, hoping for a UFO sighting. The very first night everyone saw unusual phenomena in the sky. The first inexplicable sight was what they called “flashbulbs.” Every now and then they saw random flashes go off in the clear night sky above the mountain. “I know aircraft, and they were nothing to do with aircraft. They were just isolated in space and would sometimes vary from yellow to red or green or white.” There would be nothing for about half-an-hour and then the group would see more “flashbulbs”. One night near the end of their visit Tom and his wife were out with a large group in the same wooded area where they had seen these phenomena. At a certain point, through a gap in the trees, they saw a huge bright object in the southern sky. It looked about one-quarter the size of the moon, much larger than the stars around it, but there was no moon that night. The object was utterly motionless and so bright that it cast clear shadows of the trees. It was as bright as a large full moon. Several months later, after midnight on 16 August 2009, near Sausalito California, Tom was with several people who were sure they were witnessing the ‘star’. Tom, true to his skeptical nature, thought the object in the sky was Jupiter, and went to bed. Later the same night, a woman who had also thought the object was Jupiter, saw it blink or pulse rhythmically for about 15 minutes while it remained motionless in the sky. Another person kept watching it through a telescope and saw it “blink out” at around 4am. Talking about the news release announcing the ‘star-like luminary’, Tom said: “Benjamin Creme has an explanation of why it would be there now. This part is a little more challenging for a person like me who has to have cold hard facts in order to believe anything. He talked about it representing a sign that Christ was returning to the world. When I read that I immediately connected the star he was talking about with the Star of Bethlehem and the wise men, and the fact that the star literally moved to guide them to Bethlehem. 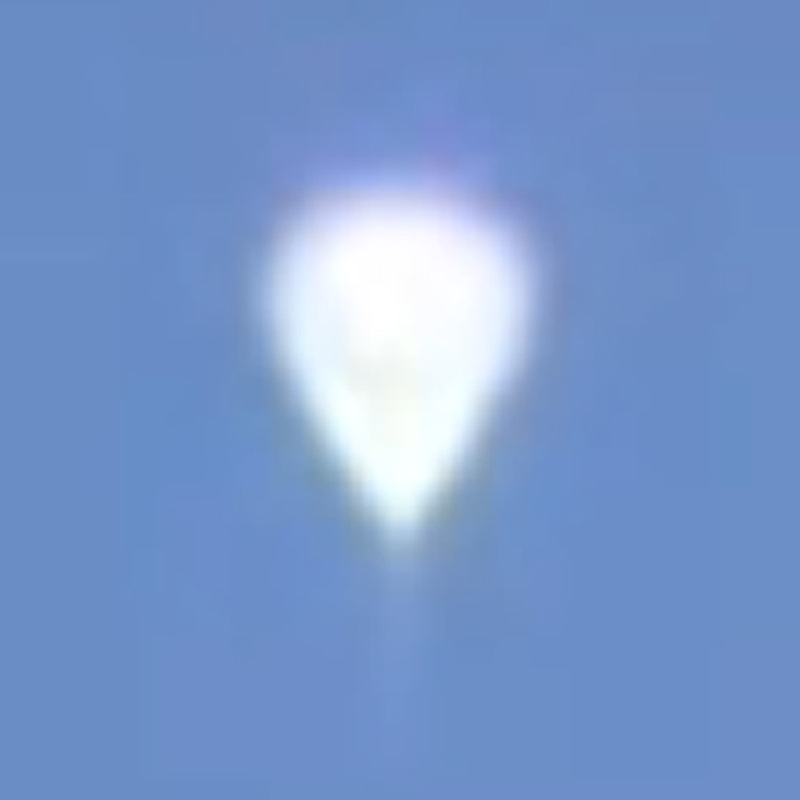 I’ve known people who’ve speculated that that could possibly have been a UFO. (Benjamin Creme’s Master confirms that the light seen over Canada was a fiery sign put out by a spacecraft which itself remained invisible. The lights over Mount Shasta were emitted by spacecraft while themselves remaining beyond the range of vision, and the silvery object which suddenly appeared was a spacecraft from Mars. 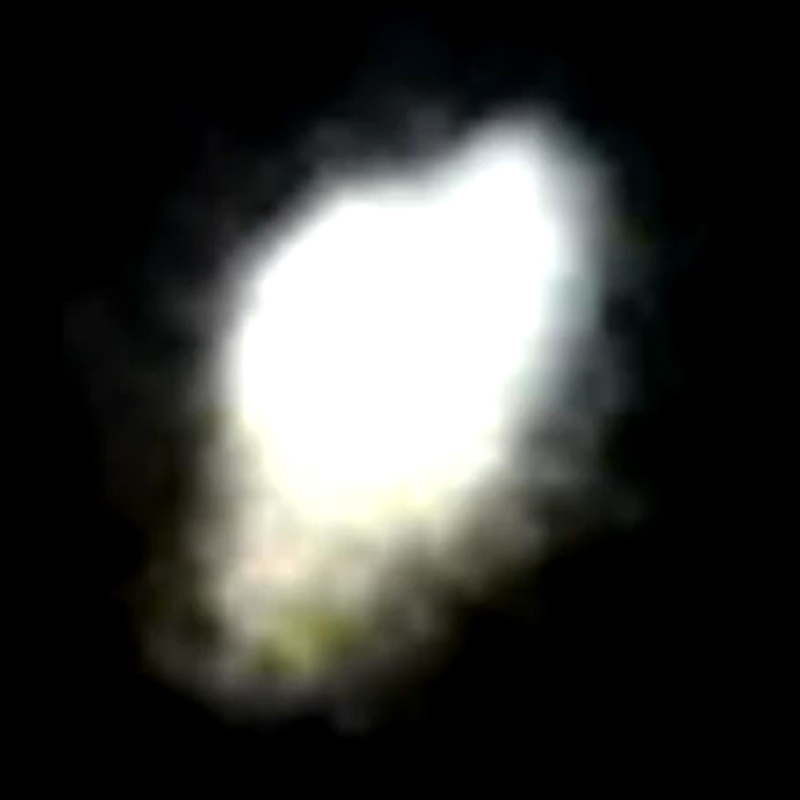 The “huge bright object” seen later at Mount Shasta was a UFO, a small mothership from the planet Mars. We present a selection of quotations on the theme of Unity from Maitreya (Messages from Maitreya the Christ, and Maitreya’s Teachings – The Laws of Life), Benjamin Creme’s Master (A Master Speaks), and Benjamin Creme’s writings. It is not the evolutionary Plan that one form of government, democratic or otherwise, should prevail. The needs of men are more real and more important than ideologies. Tolerance of difference unites, while ideologies divide. If you could see this world with the eyes of a person living 2,000 years ago, you would be astonished by radio and television, facilities for travel and so on. A completely different world pertains today from 2,000 years ago. If you had the vision to see ahead say, 1,000 years from now, you would be astonished by the world which would await your gaze at that time: modes of travel which today you cannot even imagine – thinking yourself to Australia if that is what you want to do. Can you imagine the world 1,000 years from now? A world in which unity is the keynote, in which synthesis actually prevails; in which there are no wars, no hunger, no great divisions; a world living in unity, in harmony; a world in which the cities are beautiful. The time is soon coming when men will see for themselves that the direction on which they are now embarked is false, fruitless for their future happiness, and doomed to failure. Seeing this, they will pose the questions: Why this emptiness? Why do we fail to achieve the peace we seek? Where have we gone wrong? Turning then to Maitreya, they will evaluate His words, testing them for relevance to their plight. They will find that central to Maitreya’s thought is the concept of Oneness. Men must, He will assure them, see themselves as One, each part of a united Whole – the human family – and that all that they do must reflect that Oneness. The present failure to appreciate this reality, He will contend, is responsible for all our difficulties and troubles, our disharmony and fears, our conflicts and wars. Each age confers on humanity a specific quality of achievement. Pisces, the age now at an end, has given to men the divine achievement of Individuality, together with the qualities of Devotion and Idealism. These are mighty advances in the long journey of evolution and have prepared mankind for the blessings of Aquarius. Essentially, all men inwardly seek unity and find its reflection in conformity of thought and ideas. This instinct is behind the formation of political parties and other groups. The ideological consensus acts as a magnet and strengthens the potency of the whole. Take unity as your banner and walk the way of power. Unity makes all things possible. Without unity nothing is certain; the finest possibilities come to dust. Achievement lies in the right use of the given capacities; lacking unity, the highest potential may be wasted. Unity is a manifestation of Spirit, for the true nature of humanity is One. All that leads to unity benefits the race and lends wings to the journey. Unity is invincible; the dark ones beat on the shield of unity in vain. The time is coming when unity will be achieved but the first steps in that direction must be taken now. Useless it is to wait for others to start; the move towards unity must be made by each one. Nothing so pierces the web of unity as criticism. A thousand possibilities are lost in this way. Keep silent the tongue of criticism and protect the precious fabric so carefully spun. The following editorial was published on 7 December 2009 by 56 newspapers around the world in 20 languages including Chinese, Arabic and Russian. The text was drafted by a team of journalists at the UK’s Guardian newspaper, during more than a month of consultations with editors from over 20 of the papers involved. Like the Guardian most of the newspapers took the unusual step of featuring the editorial on their front page. “Today 56 newspapers in 45 countries take the unprecedented step of speaking with one voice through a common editorial. We do so because humanity faces a profound emergency. The science is complex but the facts are clear. The world needs to take steps to limit temperature rises to 2C, an aim that will require global emissions to peak and begin falling within the next 5-10 years. A bigger rise of 3-4C – the smallest increase we can prudently expect to follow inaction – would parch continents, turning farmland into desert. Half of all species could become extinct, untold millions of people would be displaced, whole nations drowned by the sea. The controversy over emails by British researchers that suggest they tried to suppress inconvenient data has muddied the waters but failed to dent the mass of evidence on which these predictions are based. But the politicians in Copenhagen can and must agree the essential elements of a fair and effective deal and, crucially, a firm timetable for turning it into a treaty. Next June's UN climate meeting in Bonn should be their deadline. As one negotiator put it: "We can go into extra time but we can't afford a replay." At the deal's heart must be a settlement between the rich world and the developing world covering how the burden of fighting climate change will be divided – and how we will share a newly precious resource: the trillion or so tonnes of carbon that we can emit before the mercury rises to dangerous levels. Developing countries can point out they did not cause the bulk of the problem, and also that the poorest regions of the world will be hardest hit. But they will increasingly contribute to warming, and must thus pledge meaningful and quantifiable action of their own. Though both fell short of what some had hoped for, the recent commitments to emissions targets by the world's biggest polluters, the United States and China, were important steps in the right direction. Social justice demands that the industrialised world digs deep into its pockets and pledges cash to help poorer countries adapt to climate change, and clean technologies to enable them to grow economically without growing their emissions. The architecture of a future treaty must also be pinned down – with rigorous multilateral monitoring, fair rewards for protecting forests, and the credible assessment of "exported emissions" so that the burden can eventually be more equitably shared between those who produce polluting products and those who consume them. And fairness requires that the burden placed on individual developed countries should take into account their ability to bear it; for instance newer EU members, often much poorer than "old Europe", must not suffer more than their richer partners. The transformation will be costly, but many times less than the bill for bailing out global finance – and far less costly than the consequences of doing nothing. Overcoming climate change will take a triumph of optimism over pessimism, of vision over short-sightedness, of what Abraham Lincoln called "the better angels of our nature". An emerging global grassroots movement demonstrated its strength on 24 October 2009 when people in 181 countries took part in 5,200 events to highlight the need for strong action on the climate crisis. The focus of the international effort was the number 350. The figure is most generally accepted by scientists and climate experts as the safe upper limit for carbon dioxide in the atmosphere, measured in parts per million (ppm). Until about 200 years ago, the Earth’s atmosphere contained 275 ppm of carbon dioxide. The current figure is 390 ppm, and is increasing by 2 ppm each year. McKibben said: “Parts per million CO2 sounds too obscure an idea to attract crowds on six continents, but there were thousands of people in the streets from Togo and Ethiopia and Paraguay to Seattle and London and Sydney.” In front of the ‘Hollywood’ sign in California, the White House in Washington, the pyramids in Egypt, the Great Barrier Reef in Australia, and thousands of other locations worldwide, people called attention to the number 350 in creative ways and sent their photos to the 350.org website. A group of wealthy Germans have offered an unusual contribution to aid Germany’s economic recovery by demanding to pay higher taxes. The 44 signatories to a petition which calls on the government to raise taxes for the rich say that simply donating money will not be enough to deal with the problems. Since they have more money than they need, the petitioners say, they want a change in the government’s approach. Worried about the increase in unemployment, poverty and social inequality, the group wants the extra tax revenue used to fund economic and social programmes: “The path out of the crisis must be paved with massive investment in ecology, education and social justice”. An experimental gene therapy has improved the vision of 12 people suffering from a rare congenital disease. The therapy, which involves a single injection of genes, helped improve worsening eyesight caused by an inherited disease called Leber congenital amaurosis, or LCA. The disease makes most patients blind by the age of 40. “All 12 patients given gene therapy in one eye showed improvement in retinal function,” according to a report written by a team of researchers in Philadelphia, Pennsylvania. Their report was published in The Lancet medical journal. LCA causes the retina to degenerate and the researchers found that the younger the patient treated with the therapy, the better the effects. Although the experiment was intended mainly to prove that the treatment was safe, it showed surprisingly strong effects, according to researchers Dr Katherine High and Dr Jean Bennett. A new worldwide poll conducted for the BBC World Service has discovered widespread discontent with free-market capitalism. Only about one in ten of those questioned across 27 countries thought that it still works.